The new iOS 8.4.1 jailbreak is called EtasonJB. It is a fully untethered jailbreak tool like TaiG & PP jailbreak for iOS 8.4. EtasonJB supports all 32-bit devices to install Cydia iOS 8.4.1 and does not support 64-bit devices. The jailbreak is fully untethered type means you no need to re-jailbreak after each & each reboot. 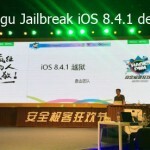 EtasonJB jailbreak is only compatible with 32-bit devices. It works with iOS 8.4.1 firmware only. 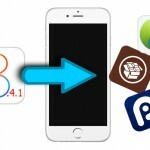 How to jailbreak & install Cydia iOS 8.41 for iPhone, iPad or iPod ? Step 5: Wait for the jailbreak app to be installed on your iOS device. Once it complete, you will see “Etason JB” app on your Home screen. Step 5: Open the “Etasson JB” app that installed on your idevice and tap on “Etason JB”. 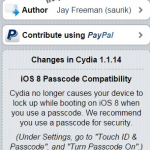 Step 5: Wait for to complete the jailbreak process & install Cydia. Finally Cydia will be seen on your device Home screen.